Anyone who can’t wait for the CD, though, should definitely check out the iTunes release. 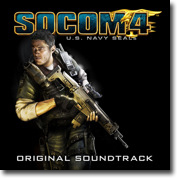 SOCOM 4 represents some of the most ambitious and epic music I’ve ever written. And, Battlestar Galactica fans may recognize some familiar soloists and instruments in there. I look forward to SOCOM fans, gamers and soundtrack buffs alike having the opportunity to explore this music, thanks to the digital and CD releases of this soundtrack. In the coming weeks I’ll post in-depth blog entries about the album, the CD release and the process of scoring the game itself. I’ve been working on this project for nearly three years, so it was quite an epic journey. Stay tuned for more!